He also announced that for the next four Saturdays, the state will observe the special sanitation exercise after which it will be held once every month. The all-state environmental sanitation is the first of its kind ordered by Sokoto state government since the stoppage of the National Environmental Sanitation Days by the Olusegun Obasanjo administration in 1999. 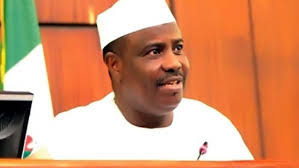 Responding to Tambuwal’s incentive, residents of Sokoto metropolis and other parts of the state organised themselves into groups and invited officials of the state Ministry of Environment to ‎inspect their areas in order to capture one of the top prizes on offer. Many said they not only cleaned their streets, but have involved their wives and female wards to ensure that all houses were cleaned from the inside. One of the youths, Misbahu Kamilu, from Kanwuri area of Sokoto town, said they are determined to win the N1m on offer as top prize. “As you can see, ‎we have mobilised ourselves and dedicated this weekend to the sanitation of our environment, we hope to win the N1m,” he told reporters. Already, reports indicate that dirt-conveying trucks set aside for the programme have already been stretched due to the high number of dirts churned our from almost every street in the state. Residents have already appealed to the government to provide more vehicles for the exercise. The policy has received commendation from various professional groups and individuals in the state. Already, the Sultanate Council has expressed it’s support. Similarly, ‎the Sokoto State chapter of the Nigerian Medical Association (NMA), in an announcement, said they are providing free medical services to all persons taking part in the sanitation exercise. Chairman of the association, Dr. Abdulgafar Jimoh, in a statement issued to reporters in Sokoto, said the programme will in no small measure improve on the health of the citizenry. “We wish to encourage the Tambuwal administration to maintain and sustain this public health initiative. It will reduce communicable and vector borne diseases like diarrhea and malaria which are among the major public health problems in our society. “We wish to assure the state government of continuous support in developing the health sector in the state. 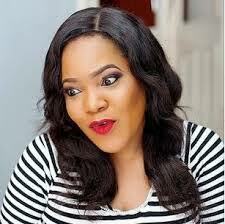 A clean environment is a necessary requirement to a healthy life,” the statement added.